The importance of corporate image and branding, and that consistency with design is the key to professional graphic design. 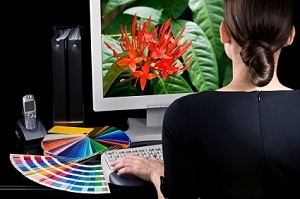 Graphic design communicates with clients and potential clients about who you are and what you do. There is a fundamental approach to print design, Print Smart understands that functionality, usability and visual appeal are paramount to great product designs. Print Smart use a number of graphic design tools to help us create the perfect design for you – we have graphic designers who specialise in creating seamless graphic designs. What Sort of Design Do We Do? We have developed many graphic design solutions, including an exciting mix for communication, branding, design and marketing needs. We have created a range of logos and professional solutions to ensure the effectiveness of our clients’ brands. We’ve also helped companies create that perfect corporate identity. Getting a quote from Print Smart for your Logo, Business Card, Brochure, DL FLyer or any other item is as simple as Dialing 08 9493 7155. We look forward to your call. Use keywords to find products or brands.